You have just gotten the keys to your new home, and are planning to conduct home renovations. Before you begin, you need to select an interior designer and/or contractor of your choice. Costs, design, and professionalism are major factors to consider but is that enough? With fake reviews and internet troll, it is more important than ever to do a background check on the interior designer or contractor you are in discussion with. Besides checking out forums and relevant Facebook pages for reviews, you can now conduct background checks on Singapore entities at Lifestylze Buddy website. Thanks to Lifestylze Buddy, running a background check is easy and you get instantaneous results. They provide information such as entity status, number of years in operation, paid-up capital, any known consumer or investor alerts, any known complaints and other relevant data. The best part? Lifestylze Buddy is free to use and designed to be user-friendly. Before you get impressed with awards and accreditations, you should be aware that many awards displayed by companies were neither handed out by industry associations nor officially endorsed by government bodies. Do not place too much emphasis on awards unless they are backed by the relevant government bodies, industry associations or organisations with good credibility. For example, a company with the award displaying “Super Enterprise” would not mean a thing if the award is not widely recognised. Home renovation can be a source of anxiety for new homeowners who are paying a large sum of money upfront. Many cases have surfaced in recent years where interior designers went “missing” after homeowners paid upfront or placed a high deposit amount. In case you are wondering, there seems to be a pattern where services are offered at low costs within a tight timeframe to entice homeowners to pay higher-than-usual deposit amount. Take caution if the quotation price is much lower than usual or if the deposit request is higher than industry rate. This was what a couple faced back in 2016 when their interior designer disappeared with $63,000. It’d do good to keep in mind the popular saying: “you get what you pay for. Also, note that payment for home renovations is usually carried out in phases. If you are asked to make full payment, be wary. 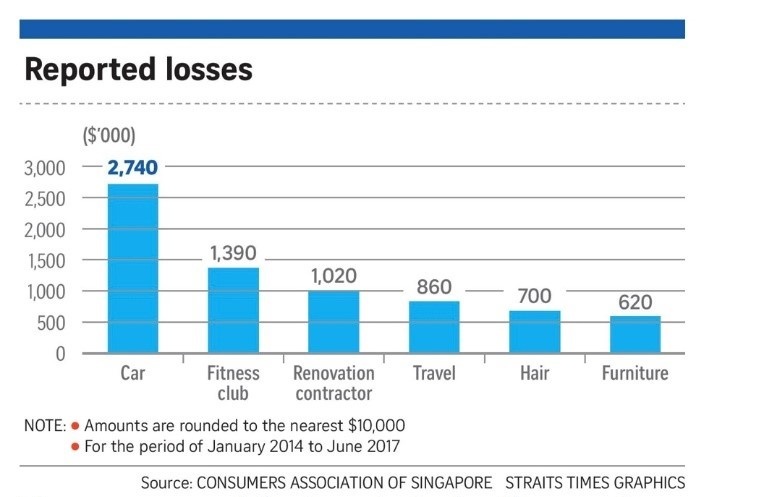 In 2017, the Consumers Association of Singapore (CASE) reported that the amount of prepayment loss has more than tripled from S$1m in 2014 to S$3.6m in 2016. As of the first half of 2017, the amount stood at S$1.8m. The marketplace is becoming more challenging for consumers to manoeuvre in the recent years. Scams come in various forms when you least expect it. Therefore, prudent checks on companies are essential when you are parting with a large sum of money to make upfront payment or deposit for a product/service that you will not receive immediately in return. Doing your due diligence can help you to minimise the risk of losing your hard-earned money, and ensuring your dream home does not turn into a renovation nightmare. 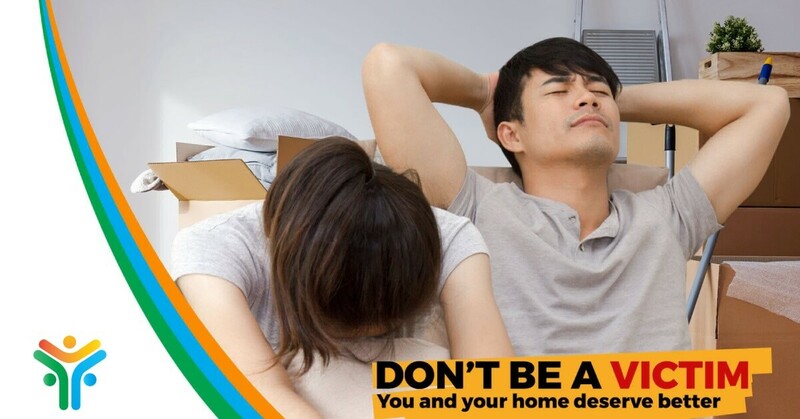 On a related note, do check out Etiqa ePROTECT home insurance, which provides coverage of up to S$50,000 for renovation and home contents, 24/7 emergency home assistance and more!